If you’re a fan of the 15-perf/70mm film-based format exhibited on giant IMAX theater screens, you’d best enjoy it while you can. Imax told investors that the digital transition is continuing at its big-screen theaters, with AMC’s massive Lincoln Square location in New York City and its San Franciso Metreon theater among the most recent to convert. That leaves about 170 film-based theaters in the Imax network worldwide — about 20 of those are commercial theaters that concentrate on mainstream multiplex-style film offerings, while about 150 of them are associated with institutions. 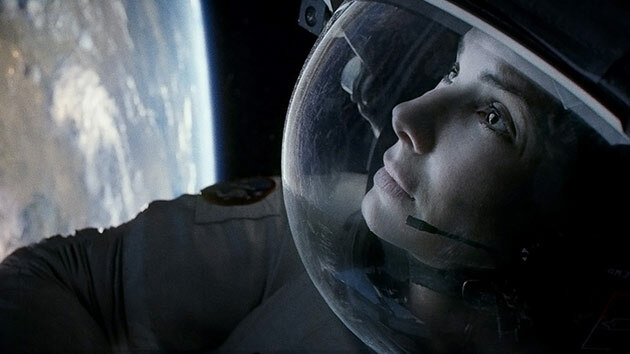 In fact, Gelfond continued, Imax generated more than 22 percent of Gravity‘s domestic box-office gross despite acounting for fewer than 4% of the screens showing the film. “It’s not our typically fanboy-focused film,” he said. Imax theaters accounted for more than 20 percent of Pacific Rim‘s domestic box office, and about 15 percent of Elysium‘s domestic take, the company said. Imax reported total global box-office of $132.5 million in the third quarter, down a sobering 23 percent from the same period last year. Gelfond downplayed the importance of looking at quarter-by-quarter figures, noting that Gravity had gotten the company off to a strong fourth-quarter start. He said the company is looking forward to the release of The Hobbit: The Desolation of Smaug, which he said would feature an expanded aspect ratio at Imax screenings, and The Hunger Games: Catching Fire, which was partially shot with Imax cameras. It will be interesting to see how many of Imax’s digitally enabled theaters dust off their film equipment to show the Hunger Games sequel in the 15/70 Imax format. SuttaKadhai – the movie happens in an imaginative hill station called Koramalai where two rookie constables Ramky (Balaji) a kleptomaniac and Sangli (Venkatesh) with a hearing impairment join duty in the local police force headed by inspector Thirumeni (Nasser ) . They both fall in love with the tribal chief‘s daughter Silanthi (Lakshmi Priyaa) a daring girl who fights local thugs and hunts down killers. When the Tribal chief is shot and killed things get out of hand and the rest forms the story of the Film. Sit back and enjoy . Onayum Aatukuttiyum Is a twisted tale of how an innocent medical college student is caught in a game of cat and mouse played between good and evil. Our hero Chandru (18/9 famed Sri) a medical student , finds a stranger with a bullet wound found on a deserted street, after various attempts to admit him in hospital , he takes him to his house and treats him. The next morning the man vanishes, he is then arrested by the police, who tell him that he has helped a dangerous criminal name wolf (Mysskin himself). When Wolf contacts Chandru after a week, the police blackmail Chandru to help him catch the Wolf. Kiruthiga Udhayanidhi makes her directorial debut with Vanakkam Chennai,under their home banner Red Giant Movies .The Story is about two people who come to Chennai for the first time.Ajay (Shiva) who is about to join in his new job and Anjali (Priya anand) who comes from London to capture the cultural heritage with her photography.Narayanan (Santhanam) rents out the same house to both of them and escapes with the advance. Initially fighting over each other they both decide to live in the same house till they get their money back, rest forms the story of the film. Naiyandi created much curiosity and publicity before its release when allegations were made by the actress Nazariya towards the Director Sarkunam, But that just proved a to be publicity stunt which ended without making a sound.Well coming to the story , it starts with Chinna Vandu (Dhanush) trying to win Vana Roja’s (Nazariya) love who has come to thier native village for the temple carnival with the help of his friends. After a few initial hiccups they finally fall in love. But fate makes them to elope and marry on the run when Nazariya is engaged to someone without a warning.Both land up at Dhanush’s house , without reveling they are married together. This film dosen’t deserve to rated or commented , its the most pathetic display of filmmaking in all lines. i could not beleive that its been done by the same director of Vaagai Sooda Vaa , whihc was a good one. Dhanush and Nazariya are better actors , who could have chosen better films. The worst editing and the songs where very disturbing. Velraj’s cinematography was good but dosen’t stand out as there is no scope for any dept to excel in this film. This film is not worth to be even made as pirated DVDs. A waste of 2hr and 30 minutes . A big 0/10 . Is about events which happen on one day to Bala (Ashwin) and Kumar alias Summar Moonji Kumar (Vijay Sethupathi) our two Heros of this film. Bala a bank employee who is struggling between his lover Renu (Swathi) and his boss , and Kumar who is a drunk ,whose only job is to loiter and harass his neighborhood girl named Kumudha (Nandita) to love him. How these two intervene and meet forms the film. Though the film happens in a day, there are flashbacks for both the characters which lead us to the main plot of the story. While Vijay Sethupathi role is well defined and makes you laugh and enjoy, Ashwin story drags you and is boring. The cast is well chosen especially Pasupathy and gang, Summar Moonji Kumar’s sidekick Romba Summar Moonji Kumar. In-between this story there is murder story which involves Babu and Raj with Parotta Suri which is un-necessary but keeps the audience laughing. Songs don’t make an effect in this film and just adds to screen time. The director seems to have developed just a story for Vijay Sethupathy’s Character and added the rest to fill the time. Itharku thaane aasai pattai balakumara doesn’t impress as film and is just a collection of comedy scenes for the Tv channels. I give 4/10 just for Vijay Sethupathy ‘s Role in the film .